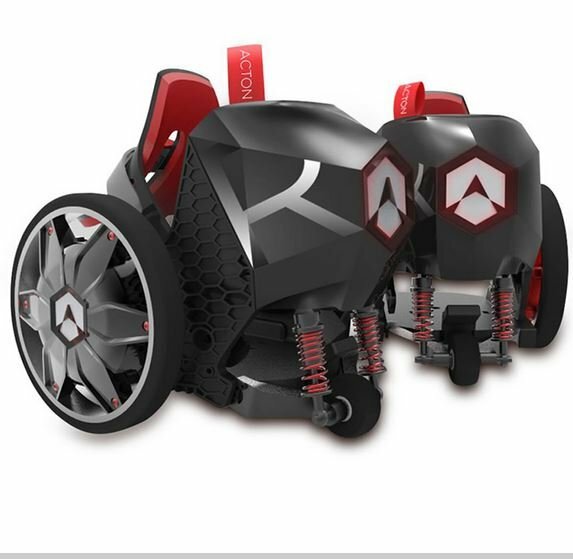 The RocketSkates by ACTON are motorized electric roller skates that propel a wearer at up to 12 mph. Two sets of step-in footplates secure most types of footwear with strap bindings similar to those on snowboard boots, accommodating small and large feet. Supporting riders up to 275 lbs., each skates twin 6″-diam. 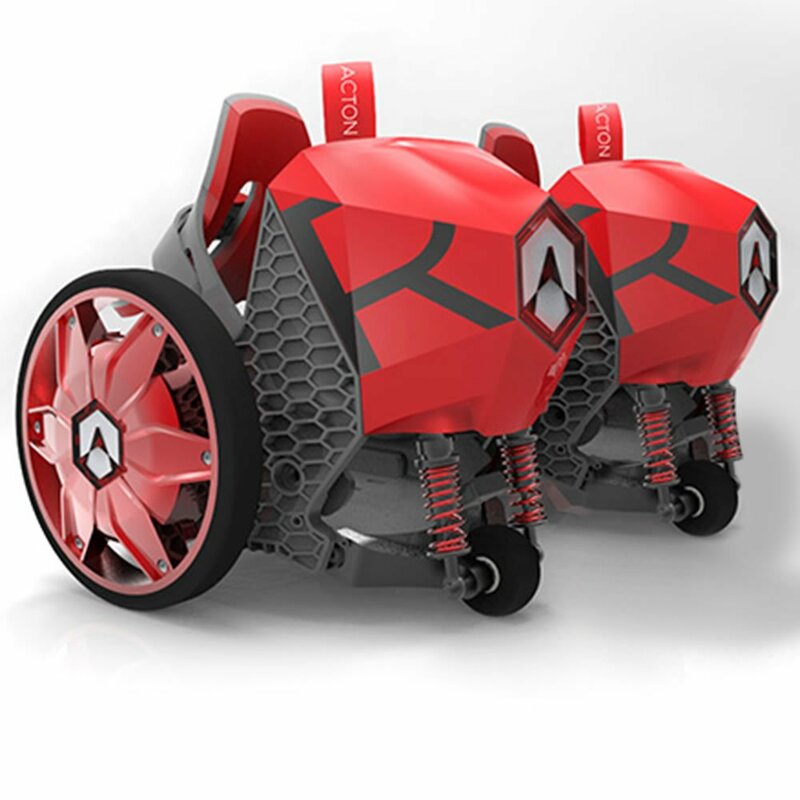 wheels has a 50-watt motor integrated into its fiber-reinforced nylon frame. Tilting forward on the toes accelerates while tilting back on the heel gently brakes. The footplates also pivot down to put your foot in contact with the ground for walking or going upstairs. Each skate has a removable lithium-ion battery that provides up to 1 1/2 hours of continuous power (up to a 10-mile range), ideal for travel across a school campus, to a local cafe, or while roaming a neighborhood festival. Batteries recharge in two hours using the included AC adapter. Please allow 1-2 weeks for shpping.